I'm proud to support and participate in the Faith and Freedom First Rally organized by the Latino National Republican Coalition (LNRC) in response to President Obama's demand that the Catholic Church and other religious institutions violate the core tenets of their faith and respect for life. Men and women of faith across the country are rightfully outraged at this assault on the religious liberty our great nation was founded on. I stand with Bishops, clergy and laypeople alike in opposing the President's demands and I'm participating in the rally to ensure our voices are heard. We will not tolerate attacks on our faith. We will not surrender our freedom of religion. The Faith and Freedom First Rally will take place this Saturday, February 18, at 12:00 noon in Main Plaza in downtown San Antonio. 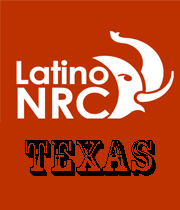 I encourage everyone in Bexar County to join me and other groups, including the Alamo Pachyderms, Young Republicans of Bexar County and the LNRC, to send the President and Congress a strong and clear message. John V. Garza is the State Representative for District 117, covering southwest Bexar County. He is a proven leader in the fight for economic opportunity, strong families and government accountability.